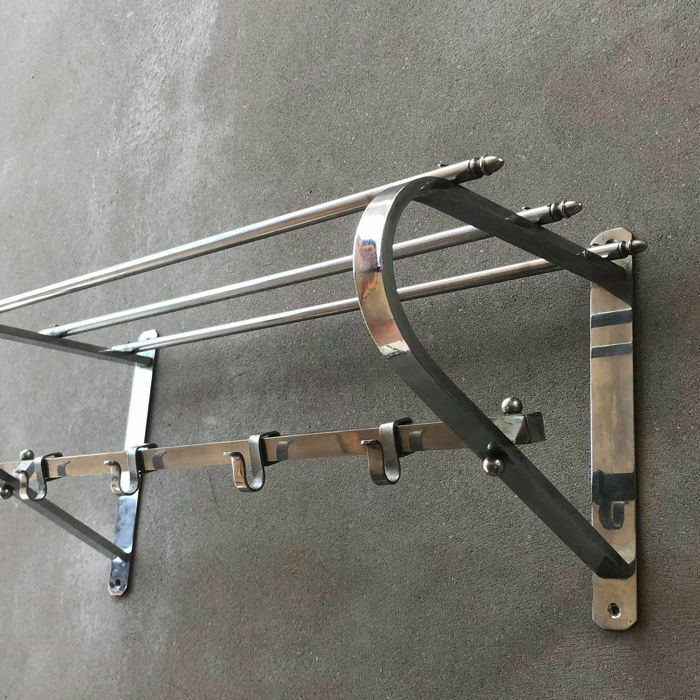 Original Art Deco coatrack from Belgium. 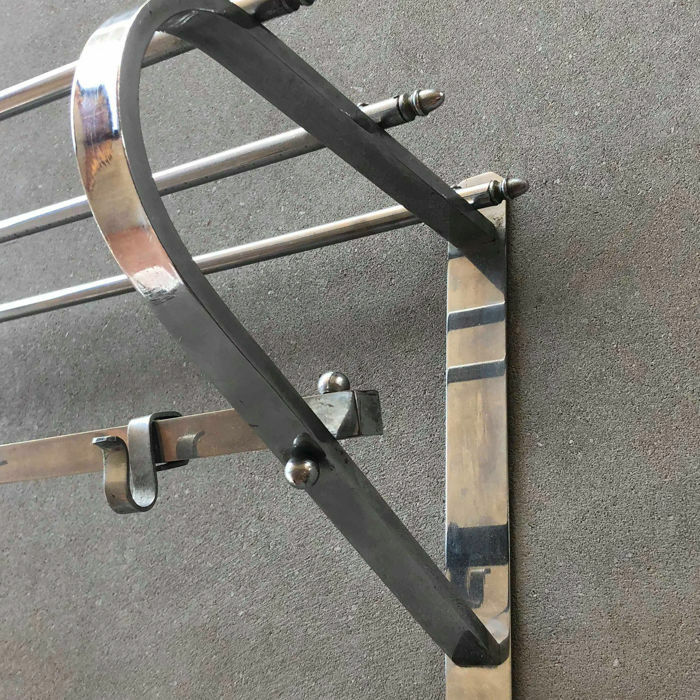 This coatrack has 4 sliding hooks on a square tube. 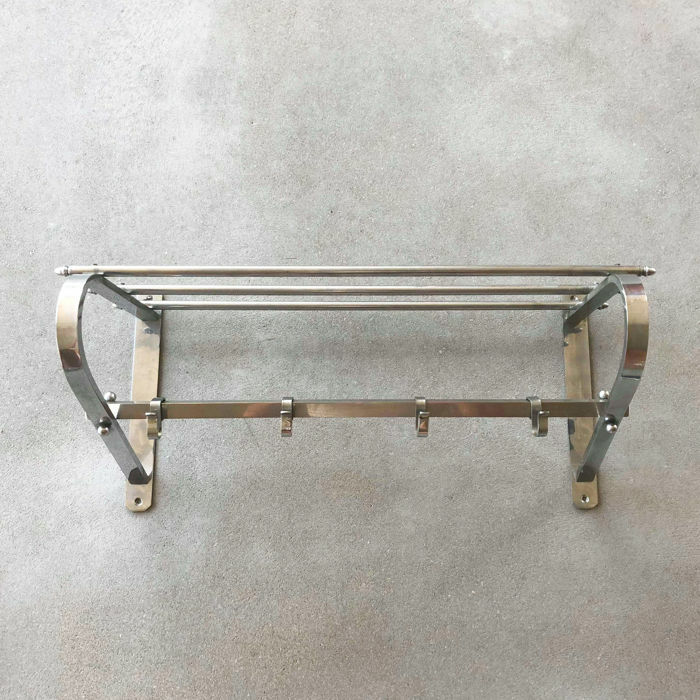 The hat rack consists of three round tubes each with a nicely finished end. 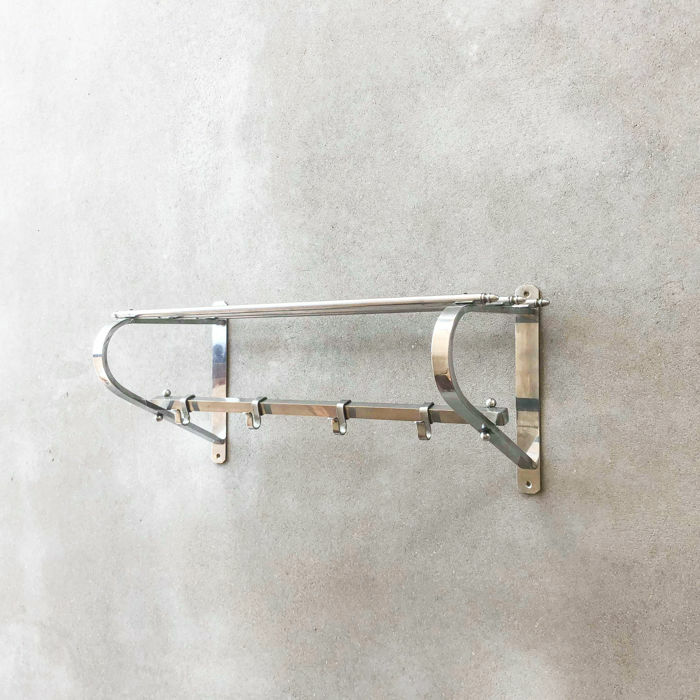 This coatrack is in very good condition. Very nice and in perfect condition. Arrived very well packed. Lovely item. Thank you! You can pick up this lot from the seller: Olsene (Vlaams Gewest), Belgium.